Contributors include: Kirsty Williams AM, the Cabinet Secretary for Education in the Welsh Government; Vonnie Sandlan, the former President of NUS Scotland; and Peter Horrocks, Vice-Chancellor of The Open University. 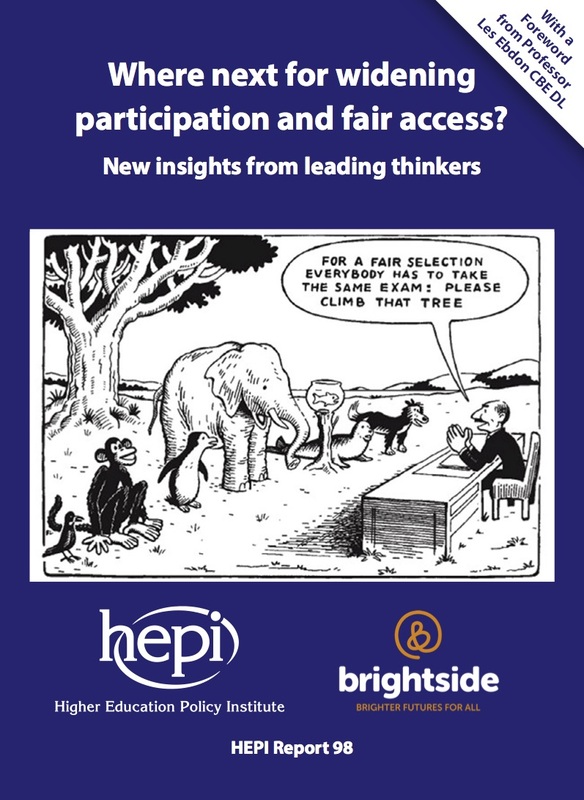 Les Ebdon, the Director for Fair Access, has contributed a Foreword. The policies put forward in the chapters include: much bolder contextualised admissions policies for highly-selective universities (with AAA+ offers typically being reduced to CCC), more support for people in care with the potential to benefit from higher education and a new Personalised Learning Accounts to meet demand for more flexible lifelong learning.